We are Liverpool and Wirral’s premier and longest established Independent Oven cleaning Company. We cover Wirral, Liverpool, Birkenhead, most of Merseyside and Chester. Specialising in not just Oven cleaning but also the cleaning of Fridges, Freezers, Dishwashers, Washing Machines, Cooker Hoods and Microwaves. We put the sparkle back into your appliances. Let OVEN ACE do the chore you hate. Removing the grease, fat and burnt on carbon deposits from your appliance. Using eco friendly methods and a non powered superb system to clean your appliances at your home makes us the safest company to entrust your appliances to. OVEN ACE offer a friendly but professional appliance cleaning service for the domestic sector. We use only non-toxic bio-degradeable cleaners in your home and work area, so that there are no fumes and your oven can be used as soon as we have finished. All the while we ensure your kitchen worktops, cupboards and floors are all protected during the cleaning process. All work is carried out by fully trained insured staff that provide consistently high standards of work at competitive prices as both oven cleaners and white goods cleaners.  For your added peace of mind we are long standing and full members of The Association of Approved Oven Cleaners ( TAAOC ); adhering to their codes of conduct, work ethics and required standards and practises.